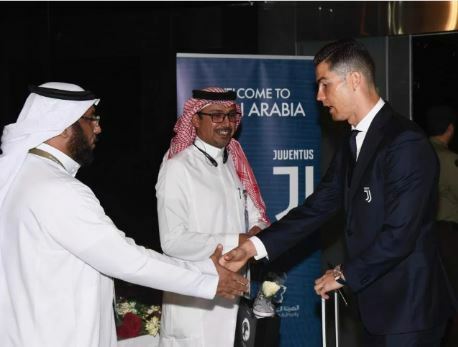 Juventus team have arrived in Saudi Arabia to face AC Milan in the Italian Super Cup, but their presence in the country has raised a few eyebrows. The Super Cup game, which features the Serie A and Italian Cup champions has been slammed for its controversial location and several media outlets have announced a boycott. The game, which reportedly sold out in two days, could be played against a backdrop of protests at King Abdullah Sports City Stadium, in Jeddah. Several media outlets asked Italy not to sanction the final in Saudi Arabia, due to its alleged support for pirating coverage and protests from activists. There are also many human rights and moral issues, including the fact that women can only attend the final if they have a man in tow. Matteo Salvini, Italy’s deputy prime minister, has criticised the decision to play the game in Saudi Arabia with some sections of the stadium reserved for men only. Qatari broadcaster beIN Sports asked Italian football chiefs not to play the fixture in Saudi Arabia as they reportedly have evidence that Saudi-backed channels are pirating live feeds of games, including Serie A fixtures. They wanted the showpiece to be relocated. As Middle East rights holders, beIN exert significant influence across the region and have become embroiled in disputes between the nations. Fifa are already pursuing legal action in support of their regional rights holder.